SEZ « What Happened to the Portcullis? Rwanda is wooing investors to invest in the country through building special economic zones. The Rwanda Special Economic Zones (SEZs) is a programme within the Rwanda Development Board that is designed to address domestic private sector constraints such as availability of industrial and commercial land, availability and the cost of energy, limited transport linkages, and market access among others. Francois Kanimba, Rwandan minister of trade and industry told Xinhua on Sunday that the country was ripe for investments especially in manufacturing, service industry, tourism and hospitality, skills development among others. “We are planning to construct SEZs economic zones across the country where investors will have the opportunity to explore the untapped potentials in Rwanda,” he said. Kanimba said that Rwanda’s business environment is secure and the cost of doing business is friendly and the World Bank’s doing business reports have for several occasions ranked Rwanda among fastest growing economies in world that have eased the cost of doing business. The small East African nation has so far constructed Kigali Special Economic Zone (KSEZ) located in Gasabo District within the country’s capital Kigali with phase one and two occupying 98 and 178 hectares of land respectively. The government is now planning for phase three, which is expected to occupy 134 hectares. Phases one and two of the zone cover a surface area of 277 hectares while the third phase will cover approximately 134 hectares. The trade zone is well equipped with tarmac roads, water and electricity rollout in all designated plots and a waste water treatment plant. Kanimba continued that the commercial zones are designed to provide investors with industrial and commercial land, improve availability of electricity and transport linkages. Official data show last year Rwanda attracted 500 million U.S dollars worth of investments and the government is targeting to double the investments in 2015. Mozambique has the necessary conditions to successfully adopt the Chinese model of Special Economic Zones, which helped to boost the Chinese economy, according to researchers Fernanda Ilhéu and Hao Zhang. In the study “The Role of Special Economic Zones in Developing African Countries and Chinese Foreign Direct Investment (refer to link below),” researchers from the Lisbon School of Economics and Management noted that over 35 years, the Special Economic Zones have had “a decisive role in the development of places like Shenzhen, Zhuhai, Xiamen, Shantou, Hainan and Shanghai, and that African countries can leverage this experience. In 2006, the Forum on China-Africa Cooperation gave “significant priority” to creating up to 50 SEZs abroad, which are being implemented, with US$700 million invested by Chinese companies in 16 EEZ, according to information from China’s Trade Ministry. Increasingly focused on business abroad, China needs raw materials and African markets to which to export its products, but can also benefit from shifting some of its industries to Africa, as the cost of Chinese labour increases. The approach to Africa has involved through loans and financing for the construction of infrastructure, and “the development of African countries requires China’s increasing involvement,” including “collaborating in the development of SEZs,” the authors argue. Regarding Portuguese-speaking countries, the average annual growth of trade between 2002 and 2012 totals 37 percent, turning China into the largest trading partner and largest export market for those countries. The relationship has proved to be “dynamic in both directions,” they added, with hundreds of companies from Portuguese-speaking countries operating in China and Chinese investment in those countries of around US$30 billion, according to China’s Trade Ministry. As for the SEZ, the two researchers focused their attention on the Mozambican Manga-Mungassa (Beira, Sofala province) SEZ, established in May 2012, under the management of China’s Dingsheng International Investment Company (Sogecoa Group), which has plans to invest close to US$500 million. Nearing completion, the first phase includes the construction of warehouse units, followed by the “operational” phase, with construction of additional infrastructure such as hotels and housing, and finally the free industrial zone, where high tech units will be installed. “In terms of knowledge transfer, Mozambique has made active steps in learning from the experience of Chinese SEZs and using this model to attract foreign investment,” they said. In 2012 the Mozambican government created the Office for Economic Areas with Accelerated Development (Gazeda) that in addition to Manga-Mungassa, is responsible for the projects of the Belulane Industrial Park, the Locone and Minheuene Free Industrial Zones and the Crusse and Jamali integrated park. On 6 May, 2014 the Mozambican government approved the establishment of the Mocuba SEZ, a sign of the “determination to create more conditions and to look for more opportunities and economic measures to create jobs and generate wealth,” in the country, the study said. According to the authors, Mozambique has a strategic location, the ability to attract investment through the diaspora, as well as its model of economic growth and development in its favour, although there remain difficulties in infrastructure and technological development. Dube Tradeport will be officially launched as an Industrial Development Zone (IDZ) by President Zuma on Tuesday 7 October. At the launch event, the Dube Tradeport will officially be handed over an operator permit which provides them the status of an IDZ. Situated at the Dube Centre, King Shaka International Airport, Durban, it was designated as an IDZ on 1 July 2014 by the Minister of Trade and Industry, Dr Rob Davies. According to Davies, the Act has been assented to by the President, and will come into effect before the end of 2014. “The launch of the IDZ will highlight the continuous efforts by government to promote industrialisation and create awareness about the SEZ programme, and its potential to grow the economy and create jobs through creating a conducive environment for foreign direct investment.” Source: Transportworldafrica.co.za with images from dubetradeport.co.za. 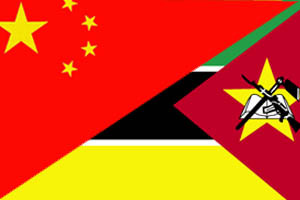 To date Chinese company Dingsheng International Investments has invested US$260 million of a total US$500 million to build infrastructure in the Manga-Mungassa Special Economic Zone, in Mozambique’s Sofala province. The Special Economic Zones (SEZ) Bill 2013, according to the government will support a broader-based industrialisation growth part and be a significant milestone in pursuit of the aspirations of the National Development Plan (NDP). SEZs are defined as geographically designated areas of a country set aside for specifically targeted economic activities, supported through special arrangements and systems that are often different from those that apply to the rest of the country. The Bill introduces a variation of SEZ’s to cater for the various spheres of government at local, provincial and national level. 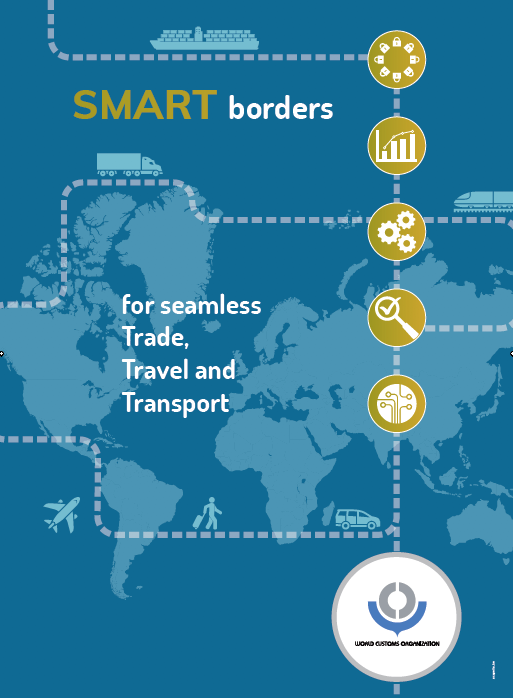 Free Ports: duty-free areas adjacent to a port of entry where imported goods may be unloaded for value-adding activities, repackaging, storage and subsequent re-export, subject to special customs procedures. Free Trade Zones: a duty-free area offering storage and distribution facilities for value adding activities within the SEZ. Industrial Development Zone: a purpose-built industrial estate that leverages domestic and foreign fixed direct investment in value-added and export-oriented manufacturing industries and services. (To date there are five Industrial Development Zones (IDZs) – Coega, East London, Richards Bay, OR Tambo and Saldanha Bay). Sector Development / Specialised Zones: a zone focused on the development of a specific sector or industry through the facilitation of general or specific industrial infrastructure, incentives, technical and business services primarily for the export market. After all the negative criticism of the South African IDZ programme over the years, its remarkable that the latest offering situated at Saldanna Bay is plagued by the same misrepresentations as preceding zones. When will the IDZ Operators and their marketing/communication teams learn that the South African government does not provide ‘free ports’ within its IDZ programme. For that matter neither does the Special Economic Zone (SEZ) facility. Such statements are misleading and in effect only create confusion for investors. Ports.co.za recently reported that, as a result of the sub-lessees failing to secure any business (lack of business benefits and government incentives? ), the facility that was built as the Saldanha Fabrication Centre in 2007 is now to be converted into a multi-disciplinary facility to support the sectors of Oil & Gas; Petrochemicals; Renewable Energy Power; Desalination; Mineral Mining, Environmental & Chemical Industries. This facility will be in the Customs Controlled Area (CCA) and will therefore enjoy ‘free-port’ status. The CCA will then be extended as the IDZ phases in the port’s hinterland come into being. Oh really? KNM Grinaker-LTA will be retaining a certain area including the 25 metre high Bay 1 and Bay 2 workshops. This is intended to house equipment for the Oil & Gas majors which will require the height to be increased. Their work will be fabrication. The facility has its own dedicated jetty, ideally for loading large diameter, heavy and long vessels, jackets and modules. KNM Grinaker-LTA Fabrication remains the sole local fabricator for the untapped market of pressure vessels above 100mm thicknesses. The other areas, workshops, etc, are available for leasing on a long-term basis and the rental rates will be determined by the size of area required and the length of the lease. Saldanha Freight Services (SFS) are working with KNM Grinaker-LTA in searching for potential lessees. The screening of lessees will be intensive as the core activities must fit with the KNM Grinaker-LTA vision. This facility is leased from and located in the Transnet National Port Authority (TNPA) zone designated primarily for the oil & gas sector. West of this facility (off-picture) is an area earmarked for a large graving dock, should such a dock be deemed sustainable in the long-term. East of the facility is open land also designated by TNPA for Oil & Gas developments. This is the area where the Oil & Gas Base will be established. It will be linked to the shore-front with workshops and other facilities as well as deep-drafted quayside (berths) and lay-down areas suited to the maintenance & repair of vessels in the oil & gas industry. The roads to the 4-berth multi-purpose terminal (MPT will be upgraded in the short-term to facilitate handing of imports & exports over this terminal. This land is available for leasing from TNPA and SFS is in a position to facilitate this for interested parties. These developments are planned for the 0-5 year and 6-10 year period commencing in 2013. Since the publication of the draft bill, there has been much comment on the advantages and disadvantages of the new Special Economic Zones (SEZ) policy and process in the country. Given the renewed emphasis in economic policy debates on industrial policy and regional integration in the wider Southern Africa context, the article “Special Missing Zones in South Africa’s Policy on Special Economic Zones“, published by Tralac, serves to add to the debate by introducing some hitherto neglected aspects pertinent to the debate on the subject. A good companion to this article (and perhaps essential prior reading) is the CDE’s “Lessons for South Africa from international evidence and local experience” which I posted on 31 May 2012 (see link under related articles below). There has essentially been little movement on the subject, yet it is clear that South Africa is losing lucrative opportunities in the global warehousing and distribution business to its neighbours. 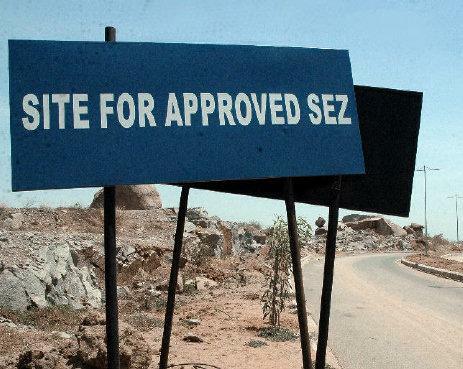 Unless government acknowledges that it has to involve business in the creation of such SEZ’s, the white elephant syndrome which befell IDZs will no doubt plague the latest programme. A bold paradigm shift in South Africa’s economic policy is required to ensure the success of the country’s new special economic zones (SEZs) programme, according to Centre for Development and Enterprise (CDE) executive director Ann Bernstein.At the launch of the new CDE report on SEZs, she explained that South Africa’s current economy favoured skill and capital-intensive industry, which was not making the cut in terms of job creation. “South Africa needs to create the right kind of environment for the emergence of businesses that can employ large numbers of unskilled people. That is what we should use the SEZs to do.“This will require bold leadership and engagement with the difficult choices on labour costs and flexibility that must be made. The alternative is to waste resources and energy yet again on a policy that fails,” Bernstein urged. The report, titled ‘Special Economic Zones: Lessons for South Africa from international evidence and local experience’ suggested that South Africa should establish at least two large SEZs that were focused on low-skill, labour-intensive industries such as the clothing and textile sectors and enable them to compete globally. “Without reform, the only way South African companies can compete with Chinese, Vietnamese and Indian companies is by mechanisation, which results in fewer people being employed, and a greater reliance on skills,” Bernstein pointed out. “International evidence shows that the most successful SEZs were public–private partnerships,” Bernstein noted. Further, the report showed, as recognised by government, that South Africa’s industrial development zones (IDZs) that include Coega, East London and Richards Bay, had largely failed to boost economic growth, create jobs, promote industrialisation or accelerate exports. Bernstein attributed this to the lack of a clear definition for what these zones should entail, as well as a strategy for attracting investors. “The IDZs are basically just industrial parks – it’s no wonder they have not been successful in attracting new investors and creating jobs.” Although the Department of Trade and Industry (DTI) had spent R5.3-billion on developing these zones, the vast majority of the 33 000 jobs created were short-term construction jobs, with only 5 000 permanent jobs created. Bernstein said countries such as China, Costa Rica, Mauritius and Latin America countries could be viewed as benchmarks for South Africa in terms of IDZs. Rising costs in Asia, especially China, where labour-intensive firms were looking for new regional locations, were creating opportunities for IDZs in South Africa. The CDE argued that South Africa should seize the opportunity to compete for a sizable portion of the jobs that could sprout from this. “A bold new SEZ strategy could become a platform for new companies and new investors that use unskilled labour rather than machines,” Bernstein indicated. “South Africa’s new SEZ programme needs to be a presidential priority. The DTI needs to be fully supported by all other departments of government. Unless the whole of government gets behind the effort, we’re not going to see the kind of investor uptake that would actually make a difference,” CDE research and programme director Antony Altbeker said. Trade and Industry Minister Rob Davies is set to table the draft SEZ Bill in Parliament later this year, while Finance Minister Pravin Gordhan announced that R2.3-billion would be allocated to the establishment of SEZs were in the 2012/13 Budget. A state-owned enterprise, the Mafikeng Industrial Development Zone (MIDZ), once mooted as an industrialisation solution and economic booster for the province, has been dissolved. The failure of the industrial development zone was confirmed at the weekend following a review by the provincial government of state-owned enterprises in the North West. Established in 2000, the development zone was said to have the potential to industrialise the North West, starting in Mafikeng with a staggering R7bn turnover, once the entity was operational. He pointed out that an administrator had been appointed and former MIDZ CEO Tebogo Kebotlhale’s contract had recently been terminated. After the appointment of a caretaker administrator on January 18, the contract of its former CEO, who had been on suspension from April 2011, was terminated on February 29. The provincial government had noted that besides the completion of the first phase of the development amounting to R126m, the entity has not achieved any of its strategic intents.The entity was intended to design, build, operate and manage a world-class industrial development zone from the Mafikeng Airport. It was supposed to establish viable investment opportunities and recruit potential public and private investors, but the entity failed. As part of the winding down process, assets belonging to the zone, irregular payments, verification of past salary adjustments and overpayments to staff are to be recovered. 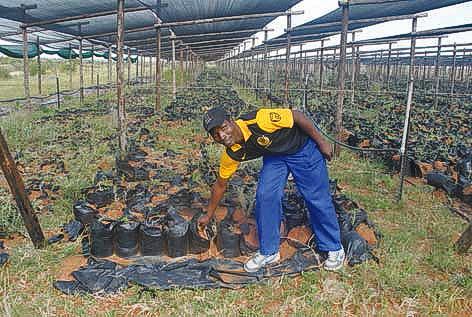 For instance, a bio-diesel project started on the outskirts of Mafikeng was a huge flop as the jatropha plants never left the nursery and the site currently resembles a wasteland. Heard this before? In line with the Industrial Policy Action Plan and the New Growth Path, the Department of Trade and Industry (the dti) aims to continue fostering its efforts to create employment and economic growth by establishing a strong industrial base in South Africa. The new initiative aims to improve on the concept of industrial development zones (IDZs) which have enjoyed mixed success since being introduced in December 2000 through the Manufacturing Development Act. An IDZ is a purpose-built industrial estate linked to an international airport or seaport which is tailored for the manufacturing and storage of goods. It offers investors certain rights within the zone, in addition to incentives such as customs duty and VAT relief. One important priority of the IDZs is to boost job creation and skills in underdeveloped regions. The IDZ programme led to the establishment of five zones – Mafikeng, OR Tambo International Airport, Richards Bay, East London and Coega. The Richard’s Bay IDZ only commenced its first phase of development in September last year while OR Tambo International Airport is not yet fully operational. The Industrial Policy Action Plan, issued by the Department of Trade and Industry in February 2011, has also identified, as a key milestone, the establishment of an additional IDZ at Saldanha Bay. The Special Economic Zones (SEZs) programme is one of the most critical instruments that can be used to advance government’s strategic objectives of industrialisation, regional development and job creation. Moreover, the programme can assist in improving the attractiveness of South Africa as a destination for foreign direct investment. In order to ensure that the SEZ programme is an effective instrument for industrial development, the dti has developed the SEZ Policy and Bill. Through the Bill there will be a dedicated legislative framework for special economic zones. The main objectives of the SEZ Bill are to provide for the designation, development, promotion, operation and management of Special Economic Zones; to provide for the establishment of the Special Economic Zones Board; to regulate the application and issuing of Special Economic Zones operator permits; to provide for the establishment of the Special Economic Zones Fund; and to provide for matters incidental thereto. Furthermore, the SEZ Bill will enable government to move towards a broader Special Economic Zones Programme, through which a variety of special economic zones can be designated in order to address the economic development challenges of each region and address spatial development inequalities. Although national laws may be suspended inside industrial zones, government is currently not offering regulatory incentives to derogate from labour rules, a concession which is seen by some as crucial to stimulate investment in special zones. It is however unlikely that a relaxation of labour laws will be considered under the SEZ initiative. Benefits are rather expected to come in the form of enhanced incentives for labour intensive projects and additional tax relief for investors. A further question arises – just how flexible an inventive will the customs and VAT requirements be allowed to be? The key provisions include the establishment of a Special Economic Zones Board to advise the Minister of Trade and Industry on the policy, strategy and other related matters; establishment of the Special Economic Zones Fund to provide for a more coherent and predictable funding framework that enables long-term planning; strengthening of governance arrangements including clarification of roles and responsibilities of key stakeholders. Source: Department of Trade and Industry. As if the myriad of changes affecting the Customs industry are not enough, there’s some more important considerations for customs traders and practitioners, soon, posed by the Draft Taxation Laws Amendment Bill . b) process a goods declaration for payment of the VAT on the goods retained and pass a voucher of correction amending the quantity and value of the original declaration. New tax incentives for Industrial Development Zones. Government is seeking to renew its efforts to enhance the Industrial Development Zone (IDZ) regime to encourage industrial development within certain geographical areas. The main focus of the incentive is to promote capital expenditure. Greenfield projects receive an additional 55% allowance and brownfield projects receive a further 35% additional allowance. The additional allowance for greenfield projects located in IDZ’s will be increased to 100% (instead of the current 55%) and to 75% for brownfield projects (instead of the current 35%).This change will be welcomed by IDZ Operators that are constantly looking for ways to make IDZ’s more attractive. In terms of the Customs and Excise Act, it should be noted that duty rebate and VAT dispensations ONLY apply to entities establishing licensed premises within the customs controlled area of an IDZ. For more information on the above please click here! The Draft Taxation Laws Amendment Bill, 2011 is available on the SARS website.